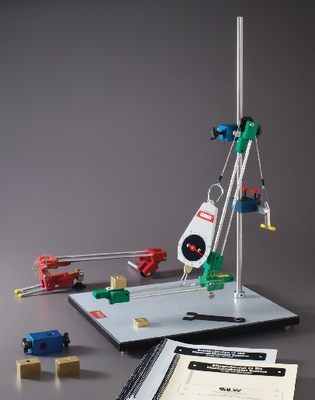 Learn the dynamic nature of the musculoskeletal system through hands-on investigations of the cause and effect relationship of lever systems. The unique models simulate arm and leg movements while simultaneously providing quantitative measurements on the effects of varying forces and muscle insertion points. Each model is constructed of rugged, die-cast aluminum and was developed to be used with a comprehensive curriculum. The models were developed with support from NSF and have been bench-tested in a classroom environment for several years. The model includes one base for both models, instruction guide, and a curriculum guide on biomechanics and the musculoskeletal system.